Adding backup power provides a tremendous value to the customers in certain areas with unreliable grid. In combination with other values, this is a trend that is producing a very strong demand - stronger than we initially thought. Don't get overwhelmed at the prospect of launching a solar lead generation program: if you focus on the basics, you'll have a great foundation for finding new customers. There were 20 completed solar energy transactions in Q3 2016, which represents the same number of transactions recorded in Q2 2016. 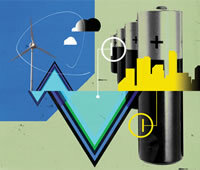 Vaclav Smil for IEEE Spectrum: It would be a lot easier to expand our use of solar and wind energy if we had better ways to store the large quantities of electricity we’d need to cover gaps in the flow of that energy. Even in sunny Los Angeles, a typical house roofed with enough photovoltaic panels to meet its average needs would still face daily shortfalls of up to about 80 percent of the demand in January and daily surpluses of up to 65 percent in May. You can take such a house off the grid only by installing a voluminous and expensive assembly of lithium-ion batteries. But even a small national grid—one handling 10 to 30 gigawatts—could rely entirely on intermittent sources only if it had gigawatt-scale storage capable of working for many hours. 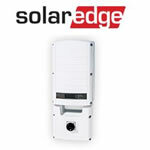 The SolarEdge PV inverter combines sophisticated digital control technology with efficient power conversion architecture to achieve superior solar power harvesting and best-in-class reliability. The fixed-voltage technology ensures the solar inverter is always working at its optimal input voltage over a wider range of string lengths and regardless of environmental conditions. A proprietary data monitoring receiver has been integrated into the inverter and aggregates the power optimizer performance data from each PV module. This data can be transmitted to the web and accessed via the SolarEdge Monitoring Portal for performance analysis, fault detection and troubleshooting of PV systems. Joyce/Dayton offers a complete line of solar tracking drive jacks specifically designed for heavy-duty tracking applications. These jacks position loads at speeds typical of the solar industry.